Interest in electric vehicles is growing around the world, including the Philippines. According to Rommel Juan, president of the Electric Vehicle Association of the Philippines (EVAP), by the year 2020, they expect to have one million electric vehicles on the road. The Philippines has about 500 electric vehicles on the road right now, so the goal of one million in just six years might seem a bit aggressive. However, they have a number of initiatives that will push production of electric vehicles. These include excise tax exemptions and lower import taxes. They are hoping that 20 percent of all newly manufactured vehicles will be electric by the year 2020. 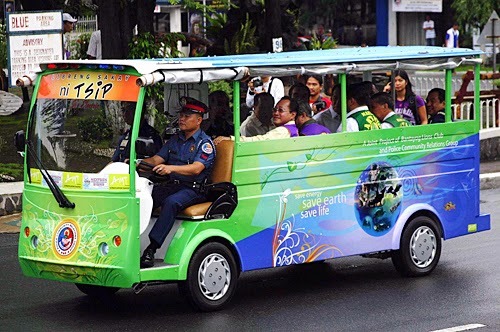 Growing consumer interest in electric vehicles, triggered by a desire for less dependence on oil and a cleaner environment, will also play a key role in the increase of electric vehicles on Philippine roadways. Plans for consumer benefits include non-fiscal incentives such as preference in vehicle registration and parking, and green vehicle lanes. Plans for more electric vehicles in the Philippines includes not just cars, but also an increase in the number of E-trikes and E-jeepneys. The electric tricycles are motorcycles fitted with passenger sidecars. They are one of the Philippines' most widely used forms of short-run transportation. E-jeepneys are a cross between a jeep and a bus and used for shuttle service.